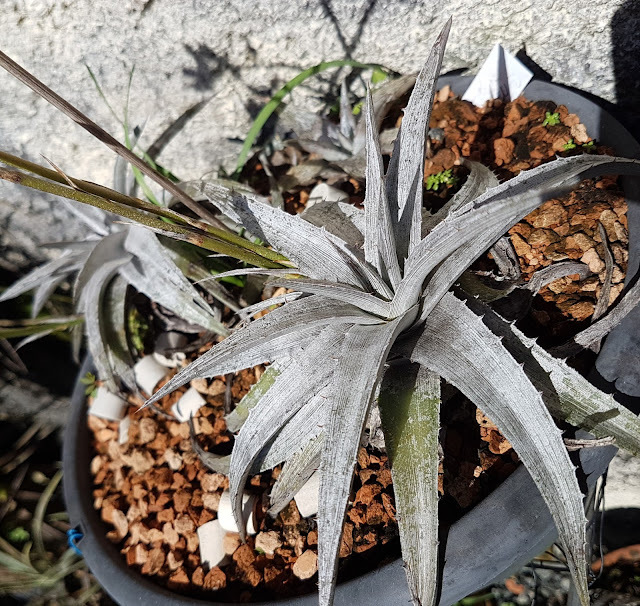 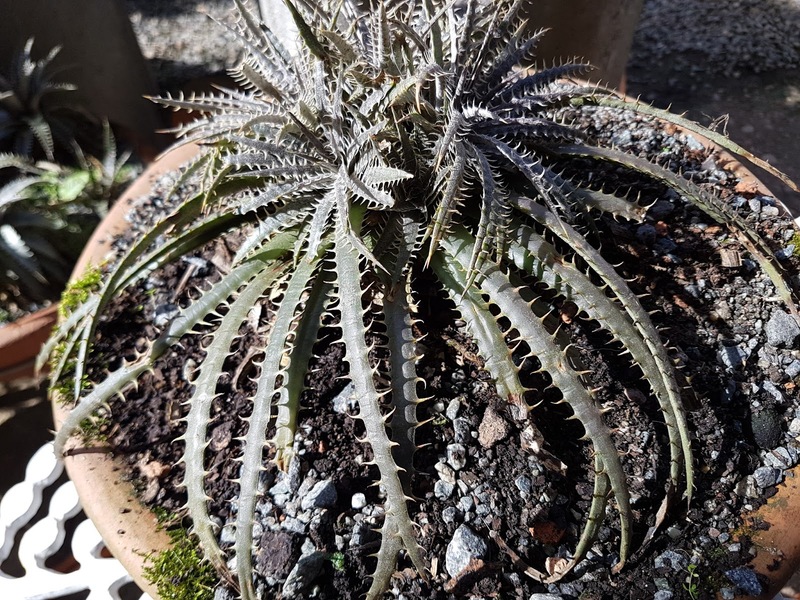 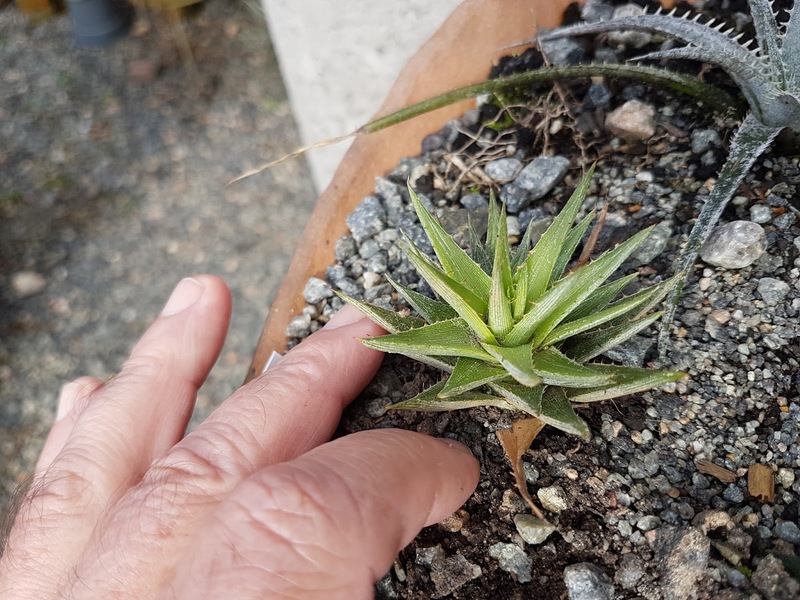 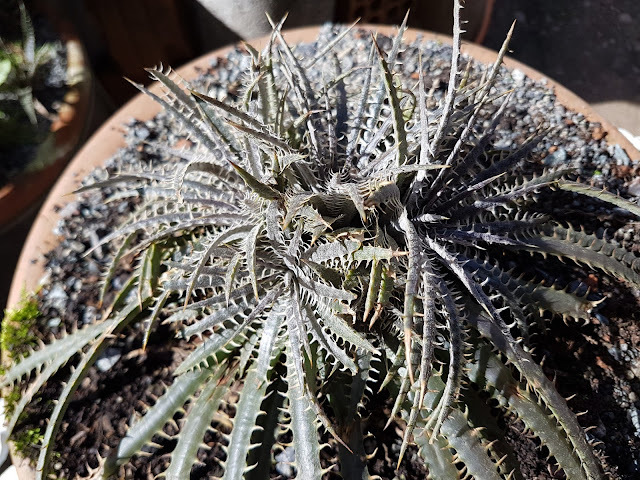 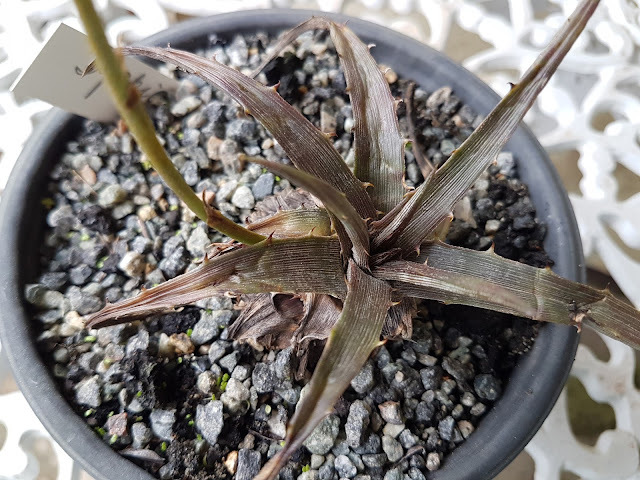 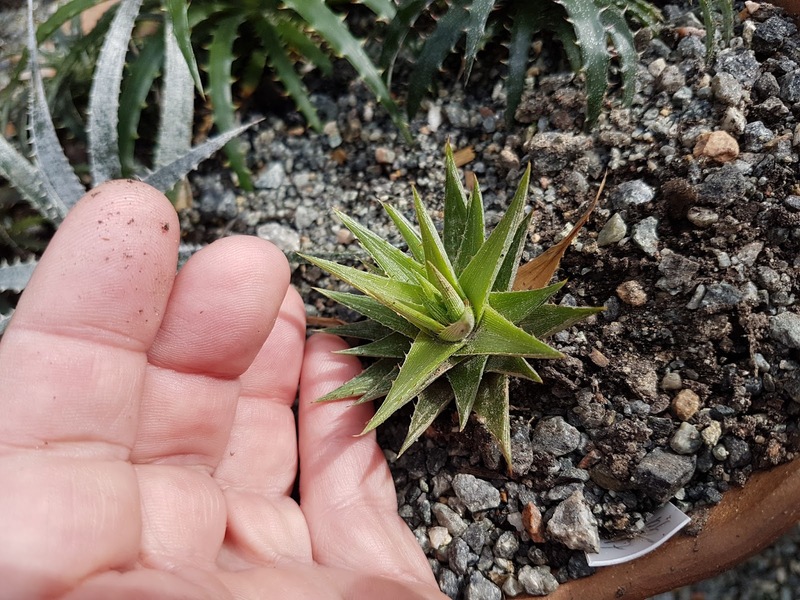 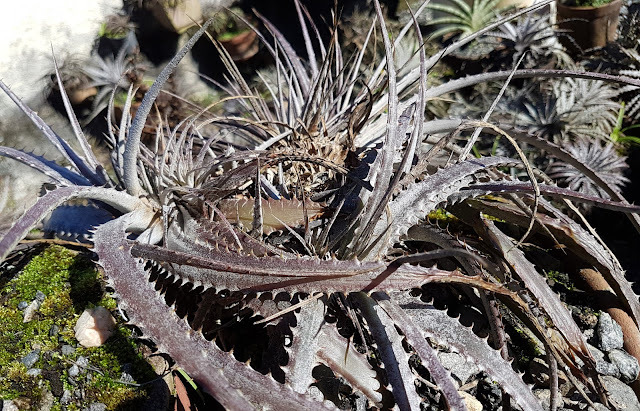 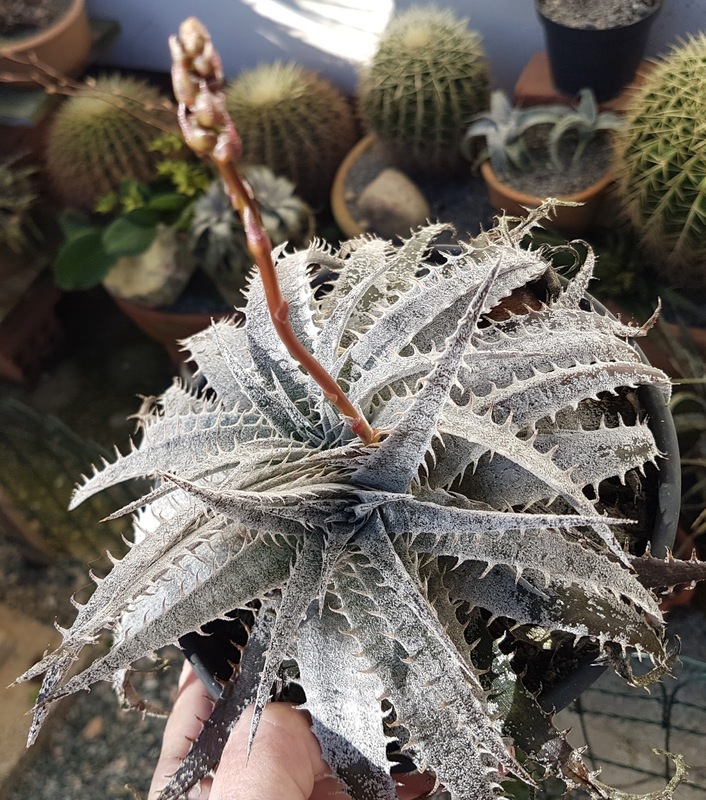 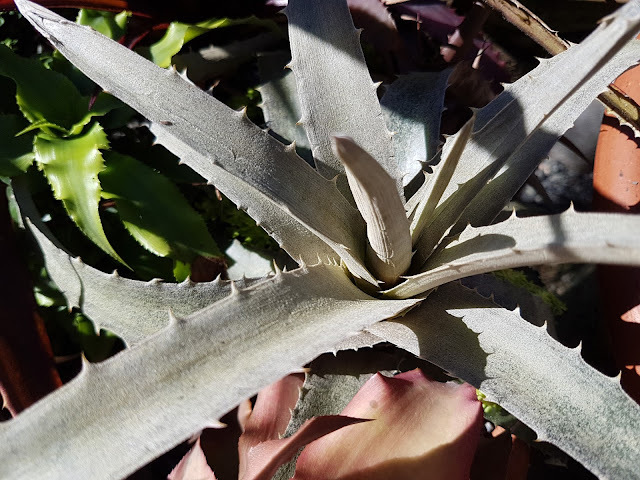 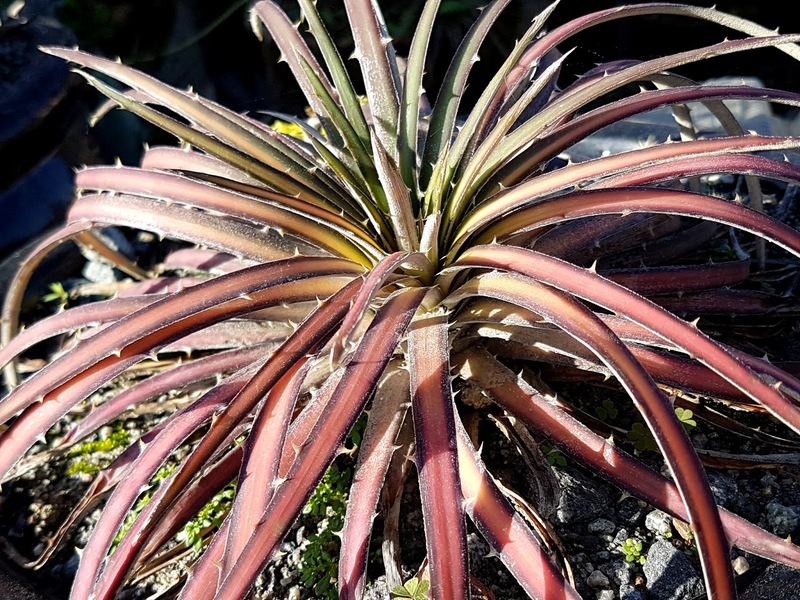 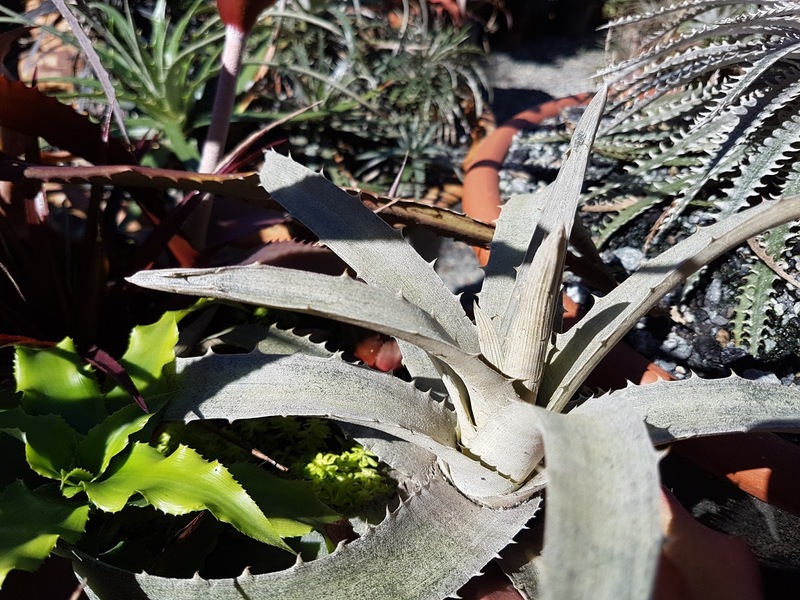 I think it is not Dyckia tenebrosa but something related to it. 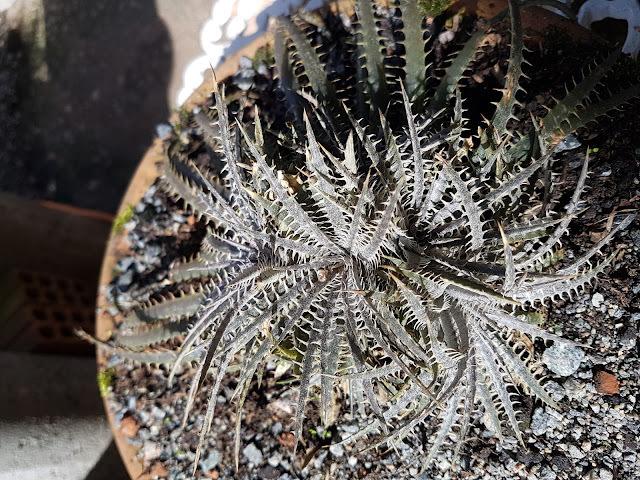 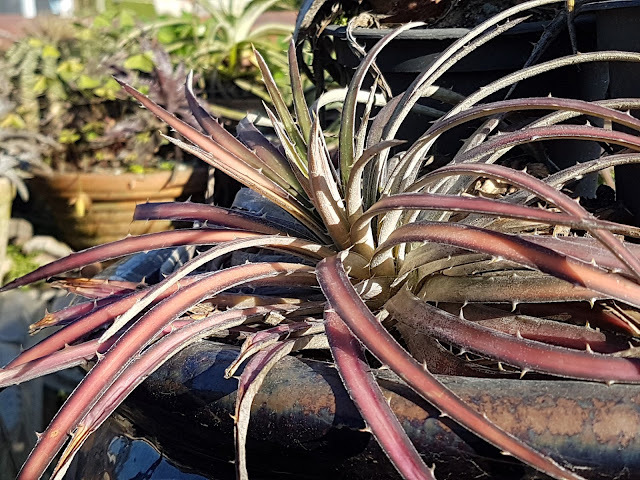 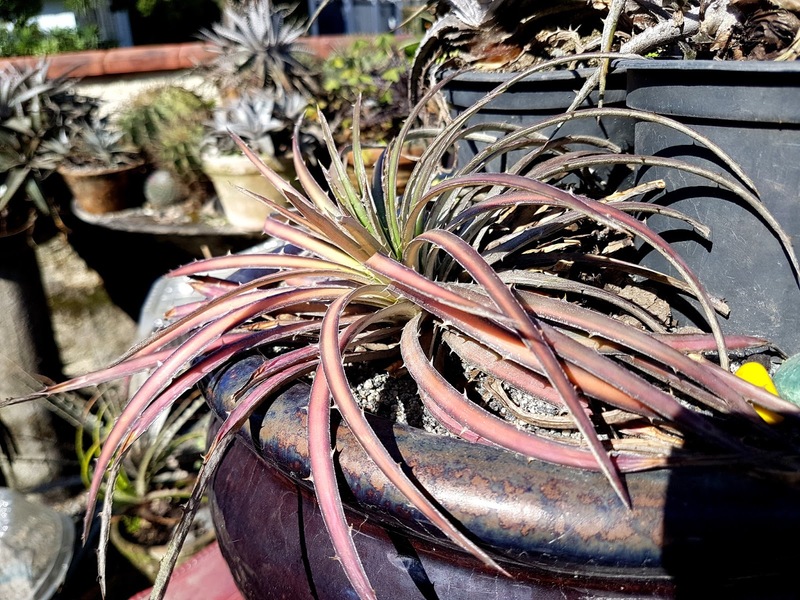 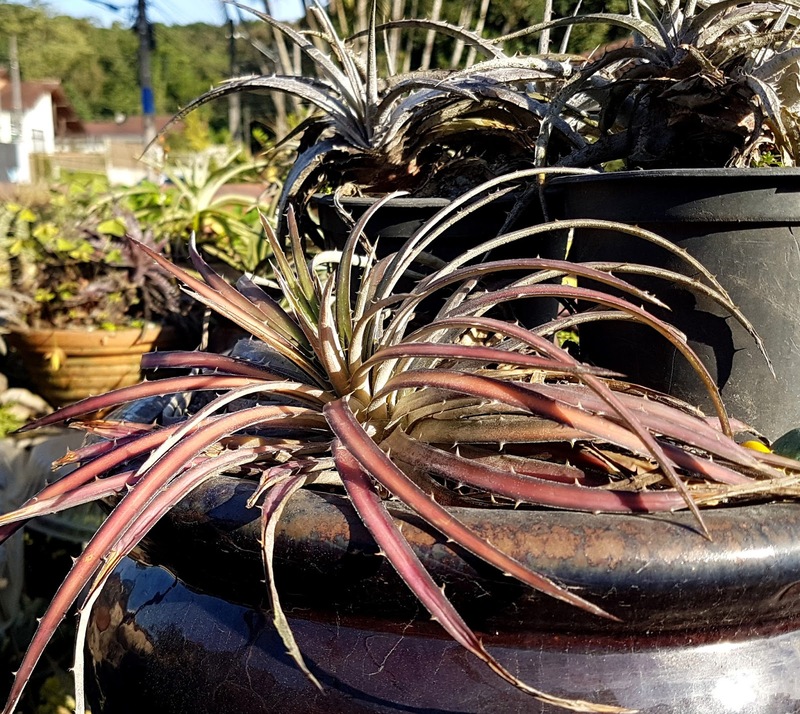 Decapitation showed to be a fine way to duplicate a beautiful and rare Dyckia. 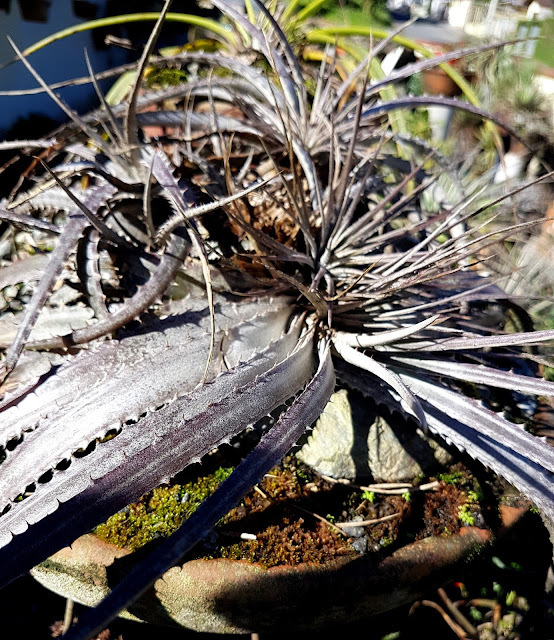 Above you can spot the old leaves of the beheaded plant. 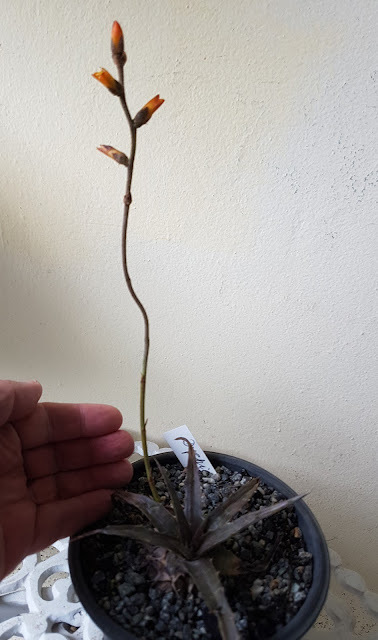 No, no, not a Deuterocohnia!!! 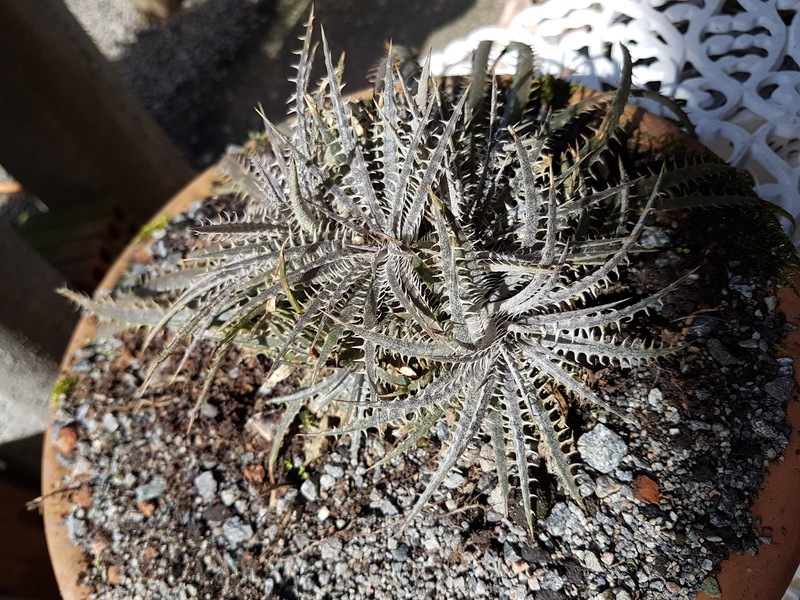 It is a new found Dyckia!!!!! Dyckias and Deuterocohnias arte well realated. This is one of the best living proves of this. 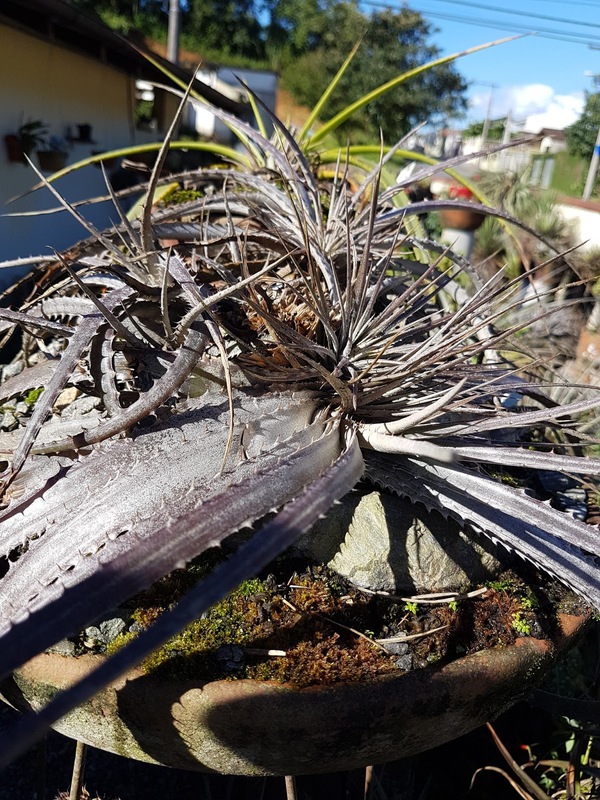 It was found by a friend of mine, a farmer in Minas Gerais and this beauty lives in super restricted area of less than 20 square meters!!! It is found anywhere else. This population is now saved from Eucalyptus plantation. My friend is going to preserve the area. 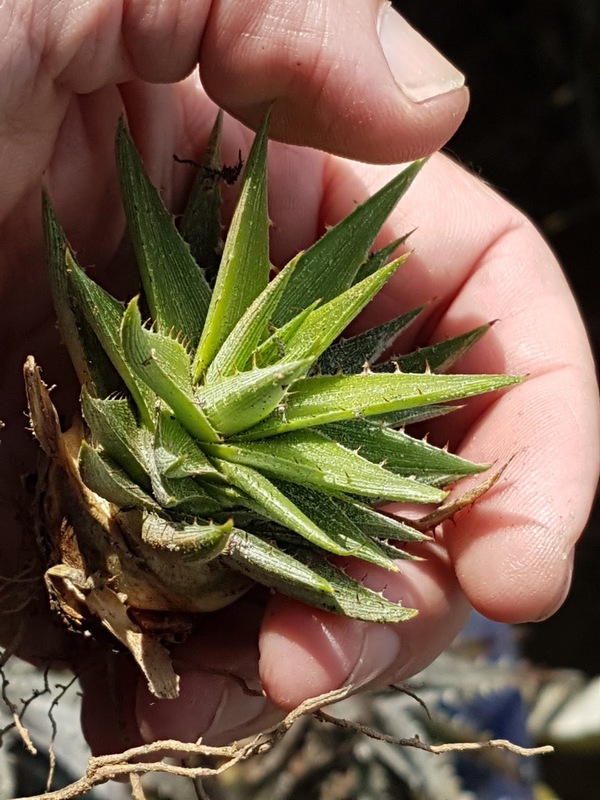 We are finding who will describe it. 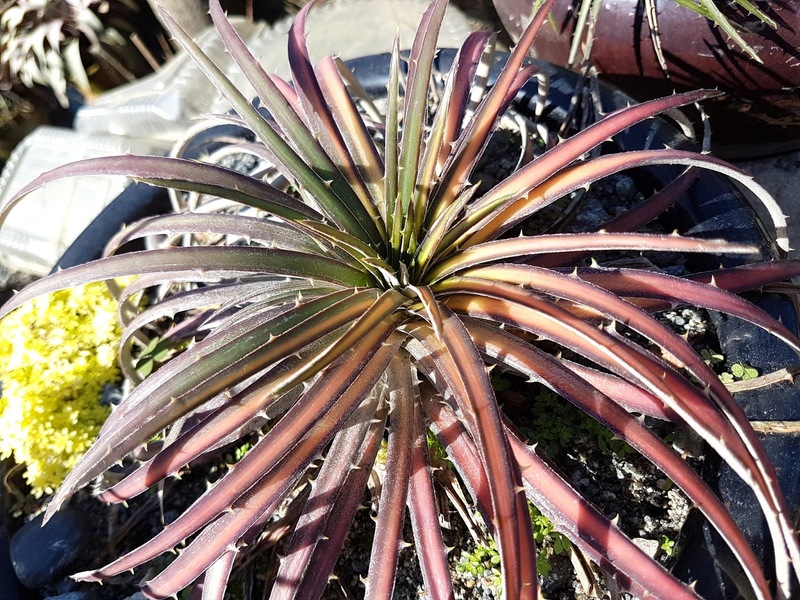 New species result in new spectacular new hybrids! 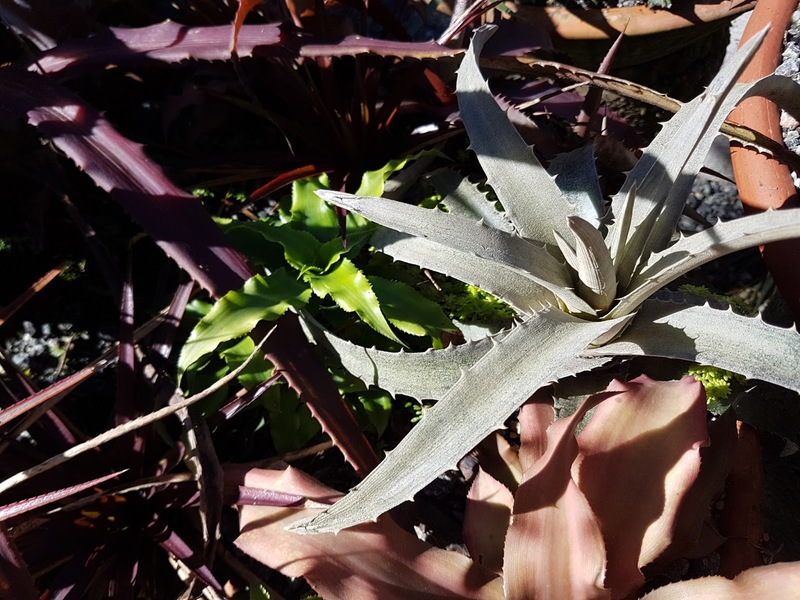 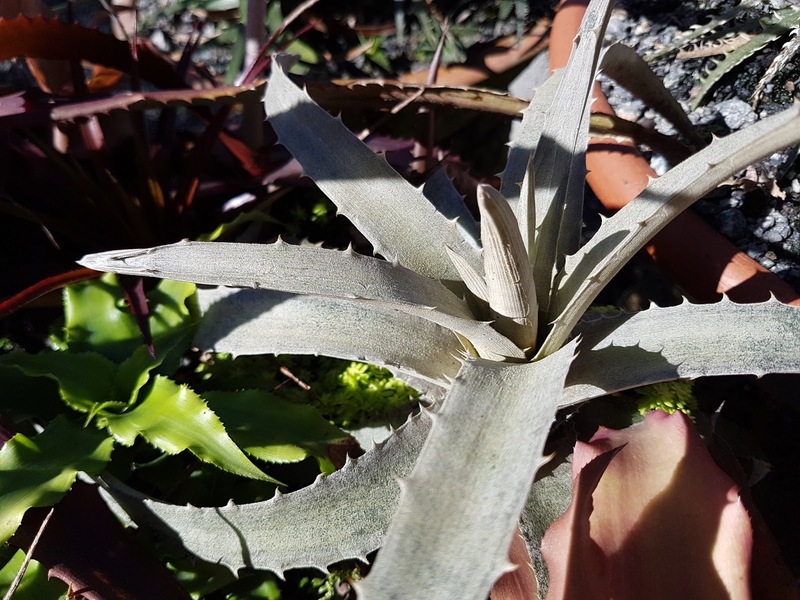 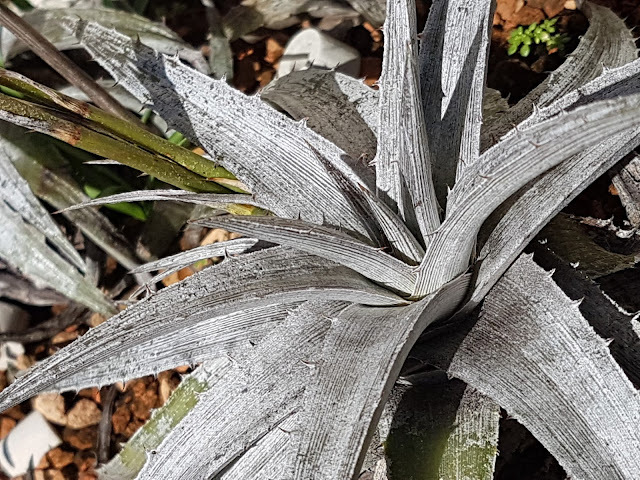 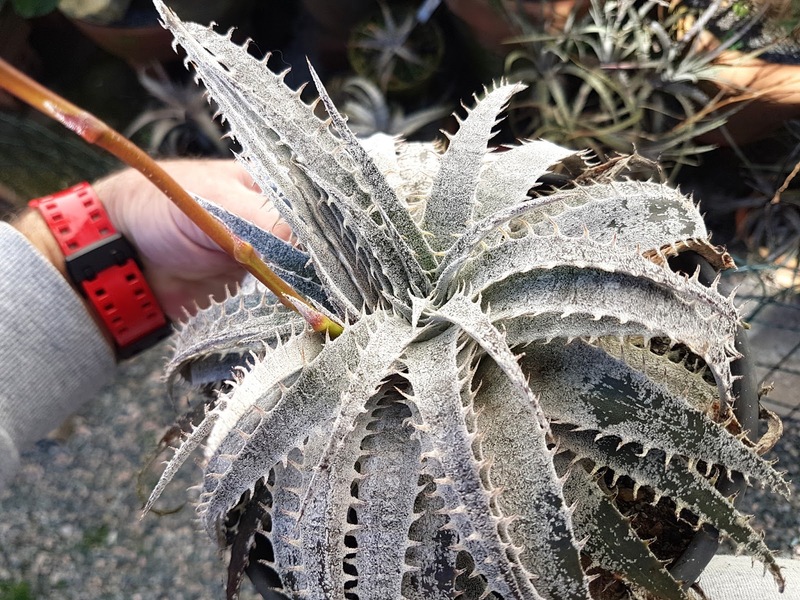 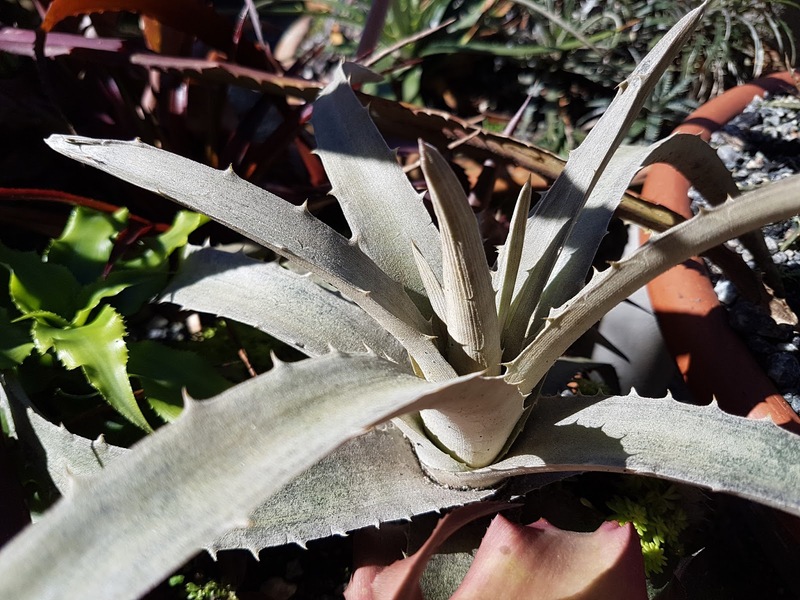 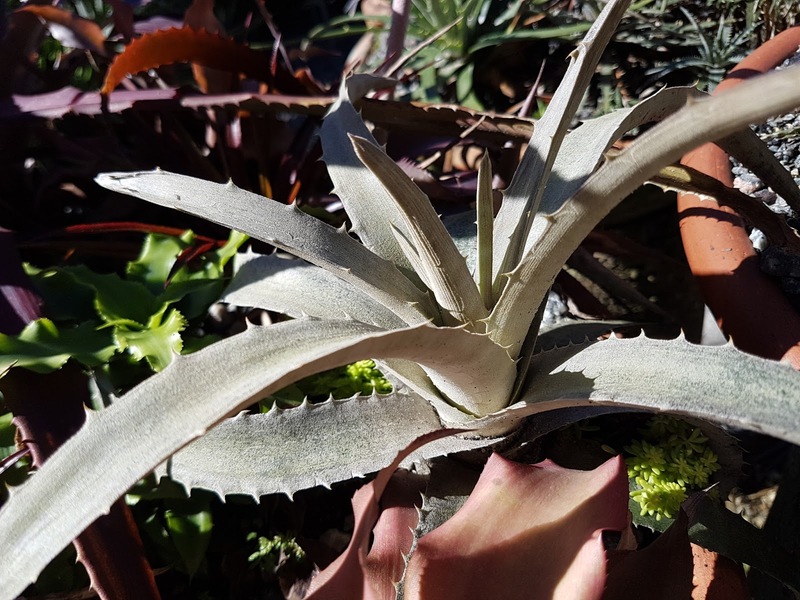 The plant is all over tiny white scales covered resulting on an impressive beautiful new Dyckia . 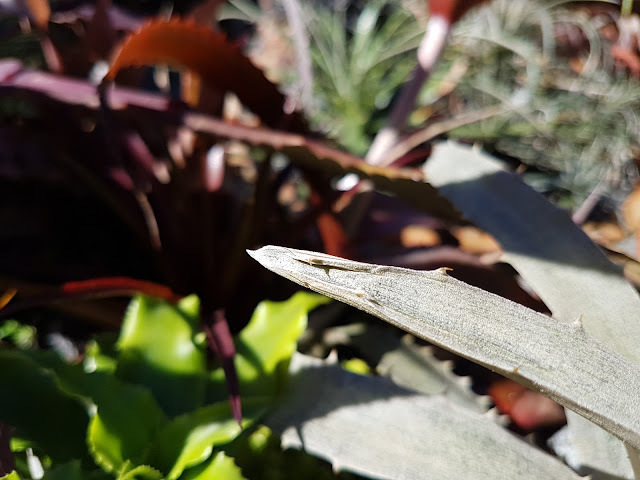 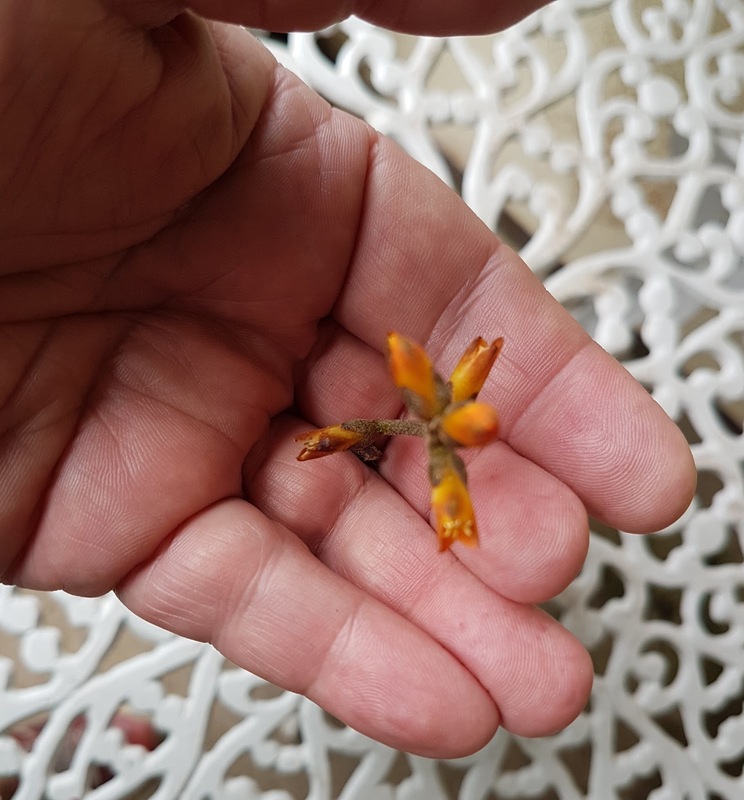 The leaf margins on the leaf tip are lifted up!